Thank You MLA David Forbes! As the Legislative sessions will soon come to a close for the summer, SOHL is thankful to MLA David Forbes for bringing forward our petition and holding several question periods with the Minister of Education regarding the provincial heritage language funding cut. The first is from June 13th, and you will find the heritage language conversation beginning at the 27 minute mark and lasting for about 15 minutes. The follow-up conversation is from June 14th, and the relevant discussion takes place between minutes 7 and 32. It is an uphill battle, but SOHL is dedicated to continuing its advocacy efforts for the reinstatement of provincial funding for heritage language education. Language education is an important academic area, and must be recognized as such by the leaders of our province! 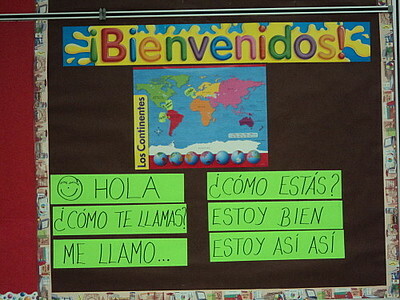 More and more, English is a global language; speaking it is perceived as a sign of being modern. But what do we lose when we leave behind our mother tongues? Suzanne Talhouk makes an impassioned case to love your own language, and to cherish what it can express that no other language can. Raised in war-torn Lebanon, Suzanne Talhouk has a masters in physics and a passion for poetry; she has released two collections of poems. Dismayed by what she saw as a lack of power during the recent war in the Middle East, Talhouk saw the Arabic language as medium to unite and empower the Arab world. She launched Feil Amer, an organization that aims to preserve the Arabic language, and to reinstate the pride in young Arabs towards their language. The video below is in Arabic with English subtitles. Every year for the past eighteen years, SOHL has brought heritage language education to schools in many parts of Saskatchewan. SOHL just concluded its 2012/13 program in March, delivering varuiys language and cultural lessons to over fifty classrooms in Saskatoon, Regina and other communities such as Yorkton, Swift Current, Shaunavon, Wolseley, and more. For more information about the program click here to visit the mini language lessons program page. 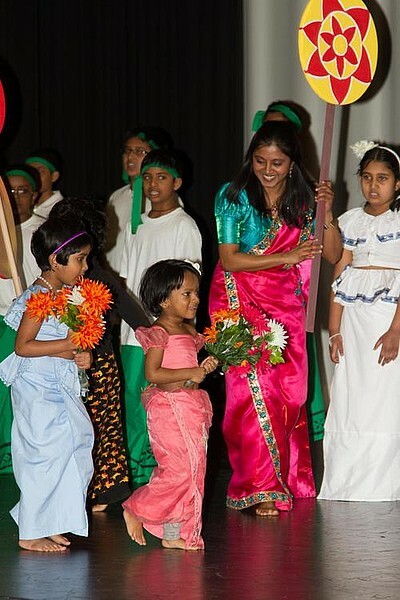 The Saskatchewan Intercultural Association (SIA) with support from the Saskatchewan Organization for Heritage Languages organized its annual Choral Concert in recognition of International Mother Language Day.